Patriotism is alive and well, if this weekend’s parades are any indication. In cities all across the country people shivered as they sat on cold concrete curbs to pay their respects to America’s veterans. I saw it firsthand in Boise, Idaho, but there were parades all over the country, of course. They are so deeply engrained in American culture that Veterans Day parades have taken on sort of a Rockwellian character. 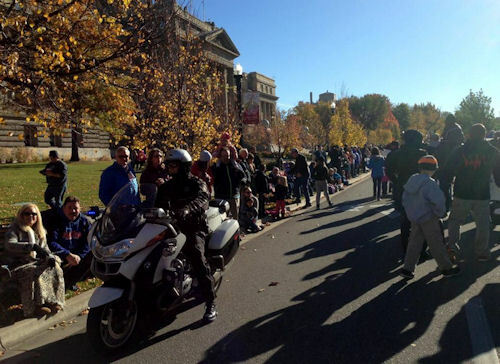 Philadelphia even jumped in and hosted its first ever Veterans Day parade this weekend (click here for video). It has become a grass roots holiday celebrated all across the nation to honor those who serve and have served. It reminds all of us what a privilege it is to live in such a special place, protected by such special people. Watch any one of the parades around the country and you will feel it too.